Discovering Global Missions: Please enter your information to get your FREE e-book! Download your E-book by clicking here. 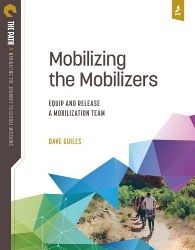 Mobilizing the Mobilizers: Please enter your information to get your FREE chapter! Discerning Your Calling: Please enter your information to get your FREE chapter! Discovering Global Missions, book one in the Path Series, is designed to help you learn about global missions, discover your role, and take meaningful next steps in your journey. Discerning Your Calling, book three in the Path Series, is designed to help you explore your unique place and specific calling as a global mission worker.